MAVEN launched on November 18, 2013, and began orbiting Mars on September 21, 2014. The first fuel burn inserted the spacecraft into a capture orbit with a period of 35 hours and an altitude of approximately 380 kilometers. Shortly after Mars orbit insertion, a second fuel burn placed the spacecraft into its 4.5-hour period requirement for acquiring data. Three smaller burns reduced the periapsis altitude of the spacecraft to approximately 150 kilometers, placing MAVEN within the required density corridor and a 75° inclination elliptical science mapping orbit. MAVEN’s elliptical orbit (~6,000 km apoapsis; 150 km periapsis) provides coverage of all altitudes. 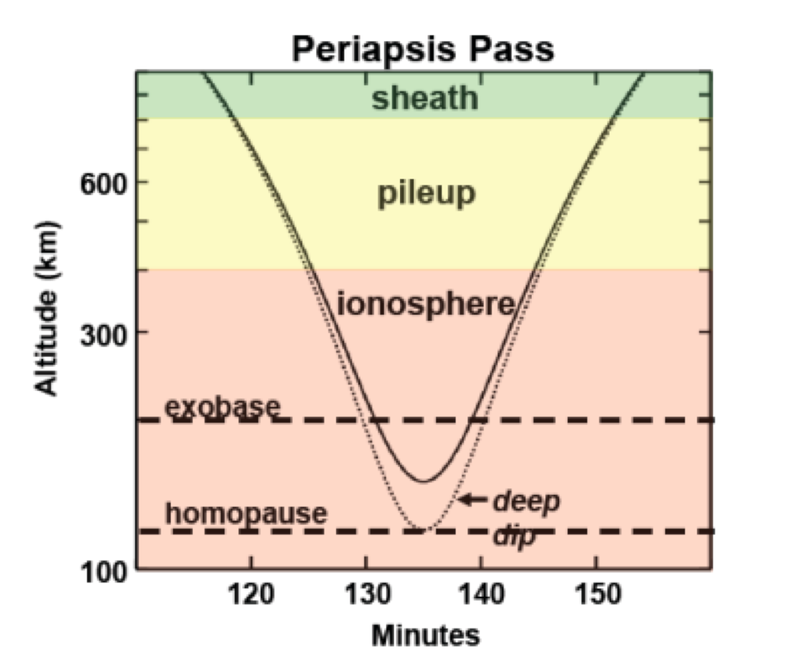 A series of “deep-dip” campaigns (~5 days each), bring the periapsis down to near 125 km. 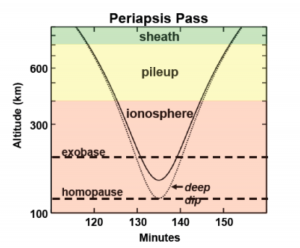 The orbit precesses in both latitude and local solar time, which allows for complete coverage of Mars’ upper atmosphere.